Our affordable CANSail 1/2 and 3/4 courses as well as our mid-week Social Sailing program — unique to our club — prepare you to be out on the water quickly and safely. At TISC we're proud of our comprehensive Learn To Sail course. Our courses are taught by certified Sail Canada instructors. See below for a complete description for each course and registration links. Sign up early as these classes fill up quickly. 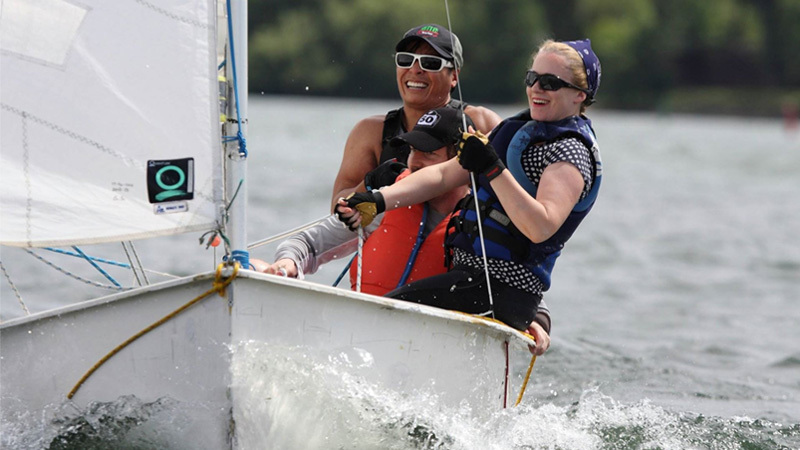 For formal basic sailing training, CANSail 1/2 introduces novice members to boat handling, the different points of sail, and other basic sailing skills. Mastery of this course will give you what you need to move from Novice to Helms! For formal intermediate sailing training, we offer CANSail 3/4, in which the finer points of sail trim and specialized skills like rudderless sailing and roll tacking are mastered. With this course under your belt you'll be ready to try the Skippers test. A student in CANSail 3/4 must have already passed CANSail 1/2.